Today marks the first day of an important week in the life of a BASIS Independent Brooklyn Middle School Student. It's pre-comp time! The first time a BASIS Independent student takes a precomp can be, well, scary (to all the parents reading, we promise they will get used to it!). Pre-comprehensive exams (pre-comps), taken by 6th grade and above, are cumulative exams that cover what the students have learned up until the mid year point of the school year. 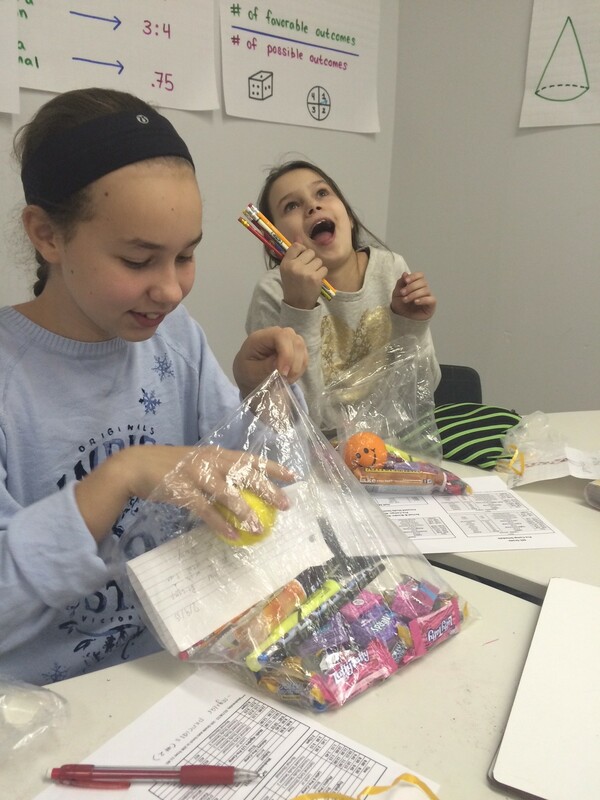 It is a BASIS tradition to give students encouragement "goody-bags" on the school day before their first exam. Usually these goody-bags contain healthy snacks for energy, a little sweet pick-me-up, pens, pencils, and a stressball. 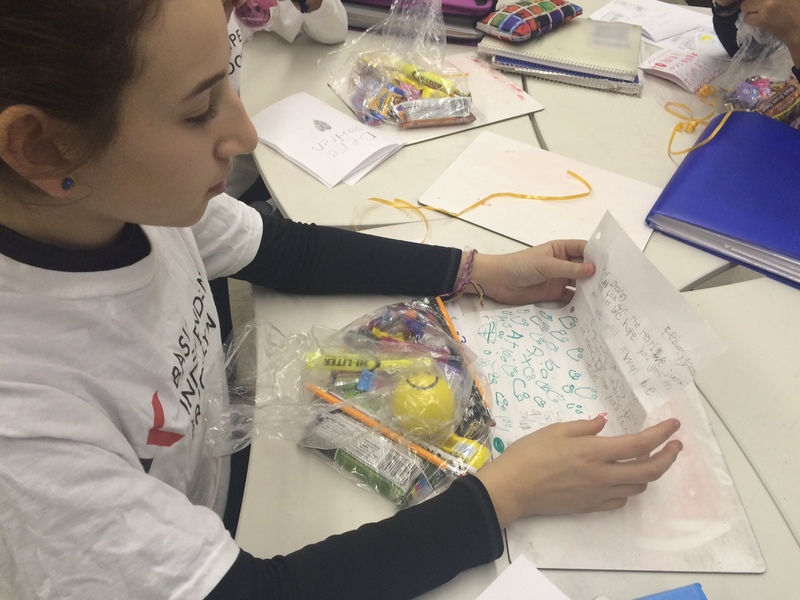 We decided to take it a step further at BASIS Independent Brooklyn and enlist the cheery support of our primary school students to 'adopt' a middle schooler and write them a heartfelt note of encouragement. 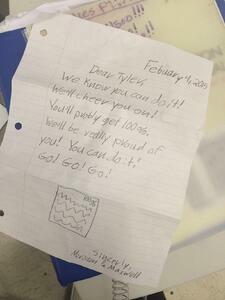 Each student in 6th grade and above received a note written by 1-2 students in grades K-4. The students were given minimal guidelines - only to write from their hearts. Making the rounds right after lunch, students were given a pep talk from our Head of School, Mrs. Thompson, and then to their surprise and delight, given their treats. The true delight came, however, in how appreciative they were of their younger peers' actions, so much so that they shared with each other which buses they recognized the younger students from so they could be sure to thank them.